Lot 247. 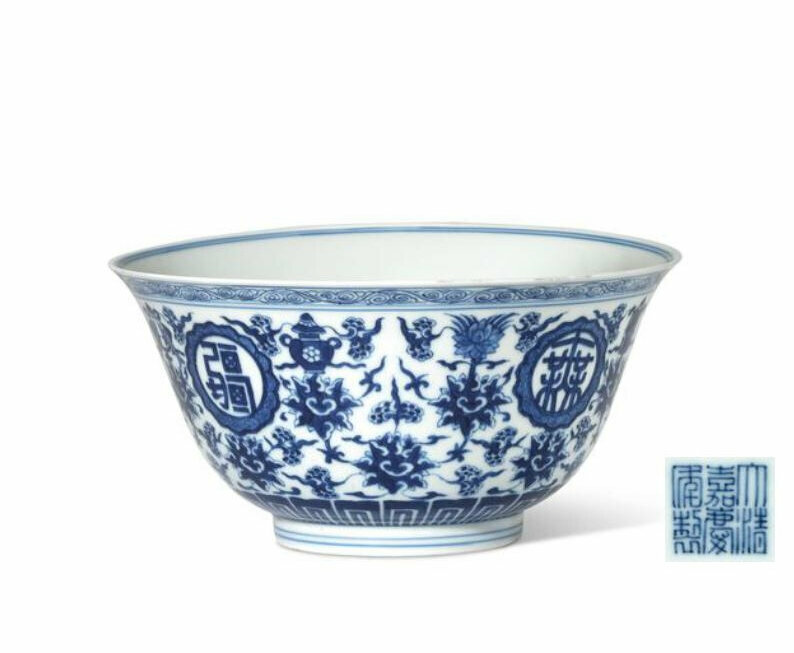 A pair of blue and white bowls, Qianlong seal marks in underglaze blue and of the period (1736-1795); 7 ¼ in. (18.4 cm.) diam. Estimate GBP 10,000 - GBP 15,000. Price realised GBP 20,000. © Christie's Images Ltd 2018. 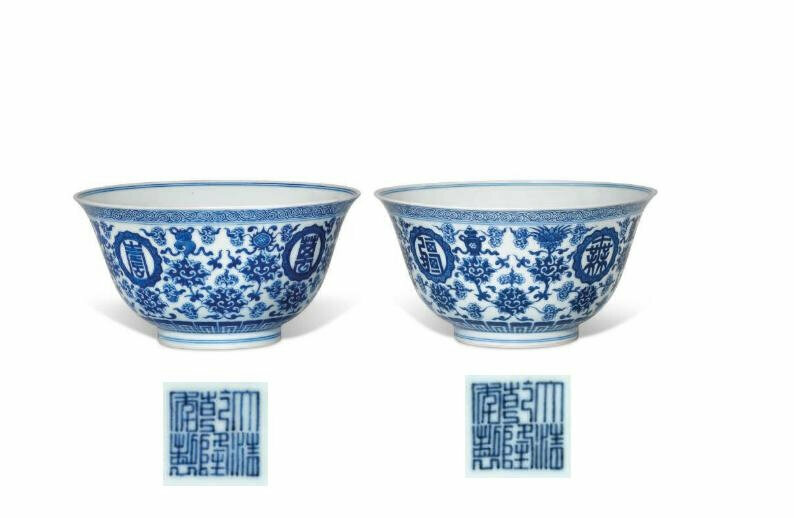 Each bowl is decorated on the exterior with four characters, wan shou wu jiang(boundless longevity), each enclosed by a circle of ruyi-heads, all surrounded by the Eight Buddhist Emblems, bajixiang, and lotus sprays. The interior is painted with a shoumedallion surrounded by the bajixiang. 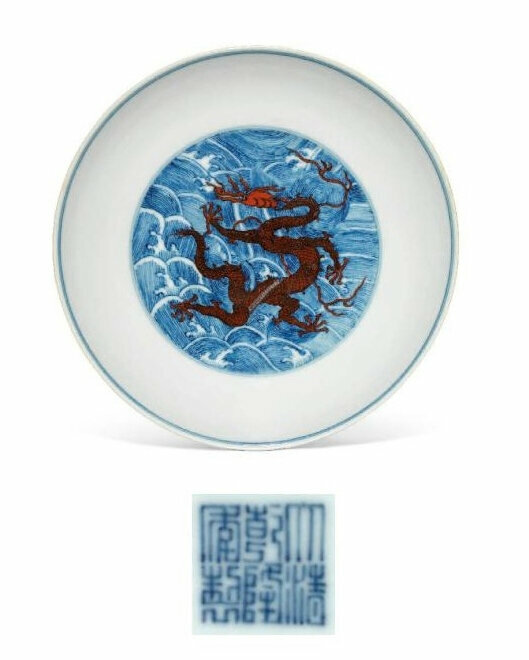 Provenance: Private English collection, acquired by a Protestant missionary in Beijing in the 19th century, then by descent within the family.